The Patriot Basketball Camp is all about FUN and FUNdamentals! All campers will receive individual instruction each day using a variety of learning stations. Your youngster will learn the fundamentals of the game while having loads of fun! 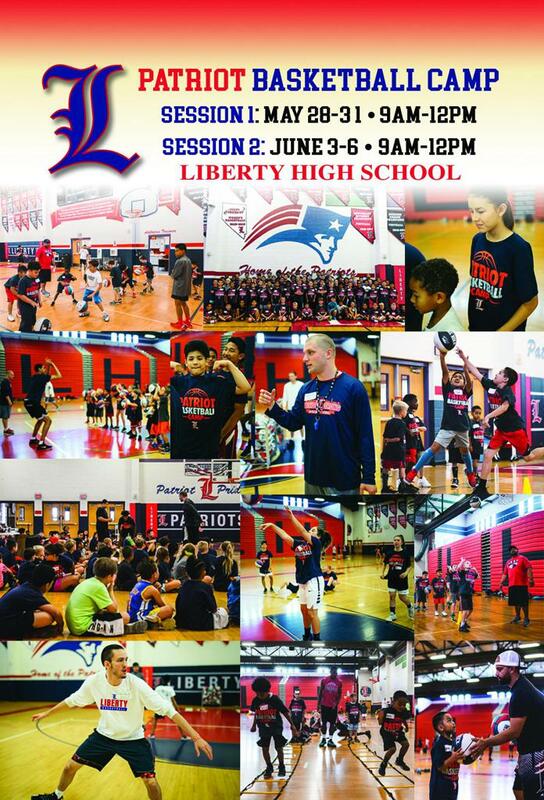 The entire Liberty Basketball Staff will be on hand, as well a number of our Camp Counselors, many of whom are experienced college players. Each player - boy or girl - will learn the skills necessary to be successful at the game of basketball at every level, long after this camp has ended. The skills we use at Patriot Basketball Camp are great for athletes of all abilities and experience levels. Every youngster will play, contribute, and learn. Step 1: Complete online registration below or mail in your registration form. 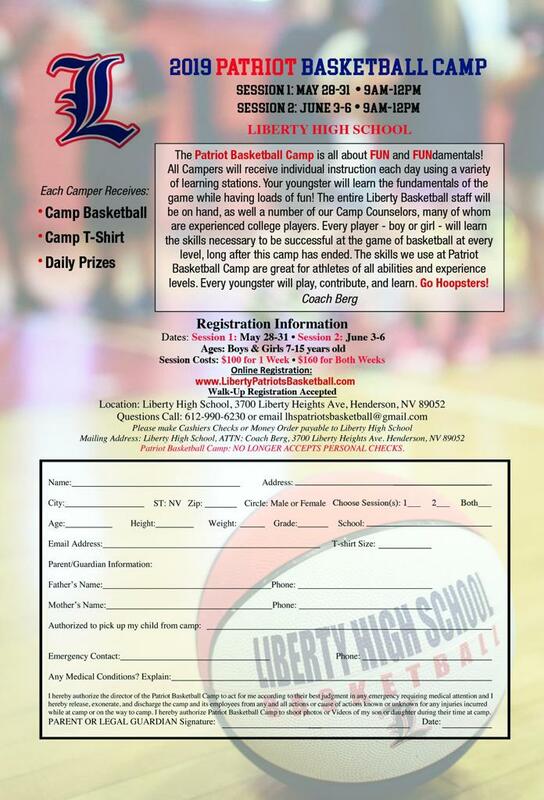 Patriot Basketball Camp: NO LONGER ACCEPTS PERSONAL CHECKS.